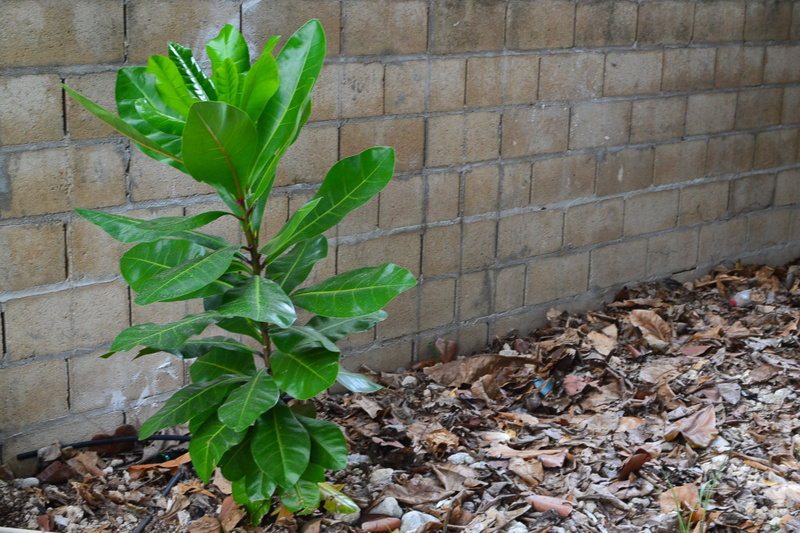 Barringtonia is a large salt-tolerant landscape tree commonly associated with coastal areas and originates from the region extending from tropical Africa, through India, to Southeast Asia, Australia and the Pacific. It is typically 10 to 15 m (30 to 50 ft) tall and develops a short trunk with a low-branching structure, supporting a densely branched wide-spreading crown. 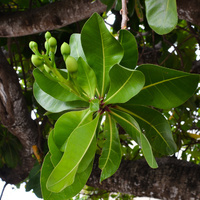 The leaves are large, club-shaped or nearly so, glossy green, leathery and spirally arranged at the ends of the branches. Blooms are on and off throughout the year, with large, showy, white tulip-like flower-buds that open at night to reveal their long hair-like filaments, which are white with pink tips and when extended collectively resemble a powder-puff. 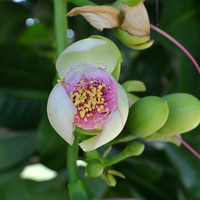 The flowers are followed by four-sided woody fruit about the size of a juvenile coconut. Green when young they mature to a dull grey-brown and like a coconut will float and drift on the ocean until they land on new shores. It is commonly cultivated in seaside gardens and landscapes for its showy foliage, flowers and the welcome shade that it offers against the hot midday sun. Its high tolerance to salt, tidal flooding and strong winds make it especially suited to sites on or near the shoreline, where it also serves as a natural windbreak against strong sea breezes. 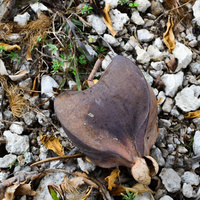 The leaves, seed and bark have traditional use as a fish poison, which is released into water to stun fish for easy capture. 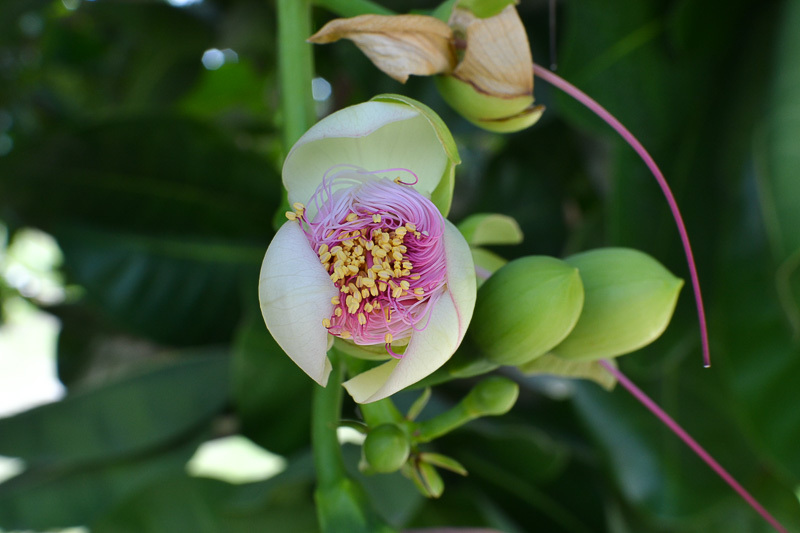 Grows naturally in moderately humid to humid tropical coastal climates, generally in areas with annual lows of 19 to 25 °C, annual highs of 27 to 35 °C, annual rainfall of 700 to 4000 mm and a dry season of 6 months or less. New plants are usually grown from seed. It performs best on free draining sand and loam soils of a slightly acid to alkaline nature, generally with a pH of 6.0 to 8.5 and on sites with full sun exposure. It has good tolerance to salt, wind, tidal flooding and coral derived limestone soils. 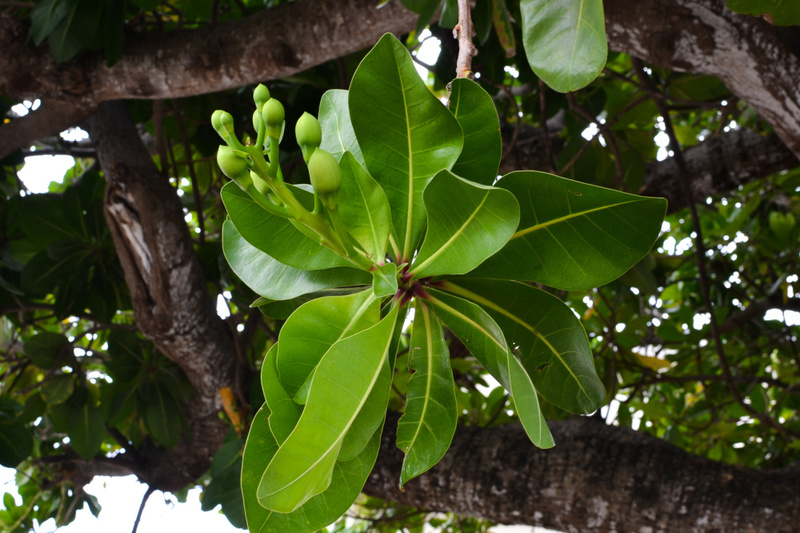 It has a tendency to colonise remote coastal areas and is listed as a serious weed in at least one reference publication. 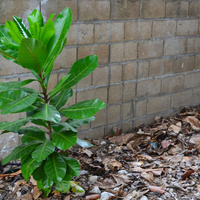 However, it is assessed as a low weed risk for Hawaii by the Hawaii Pacific Weed Risk Assessment project (HPWRA). 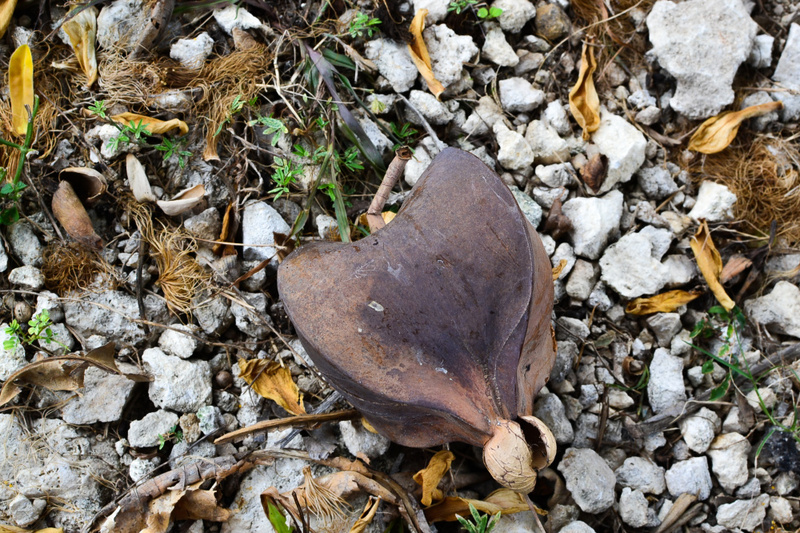 The flowers are short-lived, opening for one night only then lose their petals which fall to the ground creating litter along with the fallen leaves. The fruit are highly poisonous. Little, E. L. et al. 1964 and 1974, Common trees of Puerto Rico and the Virgin Islands (2 volumes), Forest Service, U.S. Department of Agriculture (USDA), Washington D.C.
National Research Council (Board on Science and Technology for International Development) 1990, Saline agriculture : salt-tolerant plants for developing countries, The National Academies Press, Washington D. C.
National Resources Conservation Service (NRCS) 2012, Pacific Islands Area Vegetative Guide, Technical Note 7., United States Department of Agriculture (USDA), Washington D.C.